Nicole and I couldn't get enough of this small, outdoorsy town just north of Patagonia. Just so much to do in the beautiful landscape, and the active volcano looming overhead makes for an other-worldly backdrop. 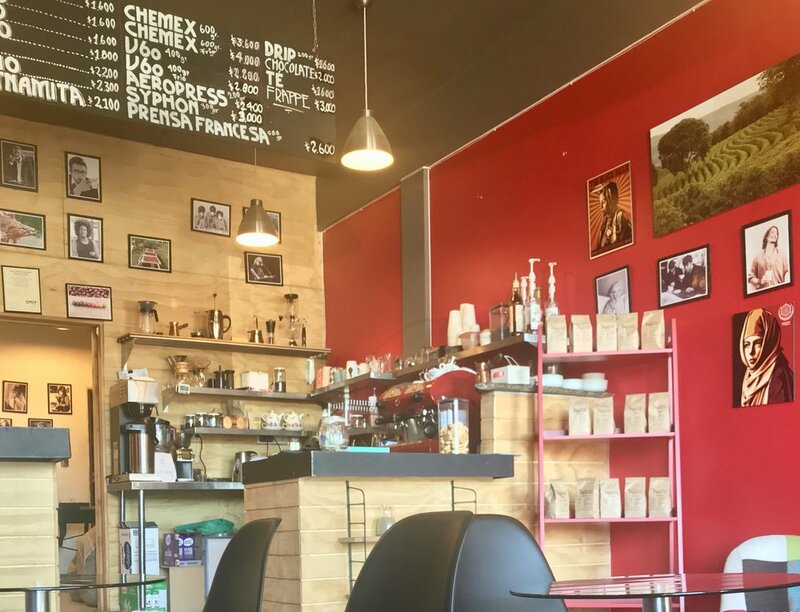 This cozy spot was our hangout in Pucon, owned by a friendly former Minnesotan, with wifi and excellent fresh roasted beans. Climbing Volcan Villarica was way harder than Nicole and I anticipated. It's no joke. We were glad we went with a reliable guide service. Completely happy with the experience. A wonderful day hike and a lot easier than climbing Volcan Villarica. If you don't have a car, the park can be accessed via local bus from Pucon. Highly recommended.